I'd just like to confess that I'm no expert at organising kids parties but I've held a few over the years. I've done the whole do it yourself and also the pay someone else to do it for you so I like to think I've learnt a thing or two from my experiences. Sometimes though I really like the do it yourself parties but wish I had a little helping hand along the way. That's why I was delighted to hear that the Disney Store have now launched their very own Disney Party website to help with planning, ideas and of course the all important Disney accessories for an awesome birthday bash! So to celebrate we had our own little Disney party and I thought I'd share my top tips for having a fabulous kids party of your own. Making sure you know what you're doing in this party business is key so planning ahead can make all the difference. On the Disney Store website there is now a Disney Party Planner just for you to help ease the stress of throwing an amazing party bash. Having this planner means everything is kept in one place and you can even order up some personalised invites as well for FREE!! The invites can then either be printed or emailed to the guests. It's honestly amazing and I actually love it. I'll definitely be using this when I come to organise the kids parties at the end of this year. Have a budget and stick to it. Parties can get way out of hand when it comes to the pennies so honestly decide what you want and what you can afford then keep it at that. 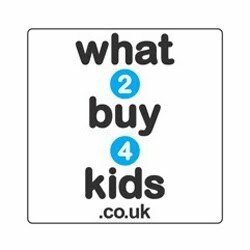 Kids are honestly happy with a few balloons, cake and games so there's something out there to suit every budget. You'll be pleased to hear that the Disney Store party accessories are quite reasonable in price and definitely competitive. 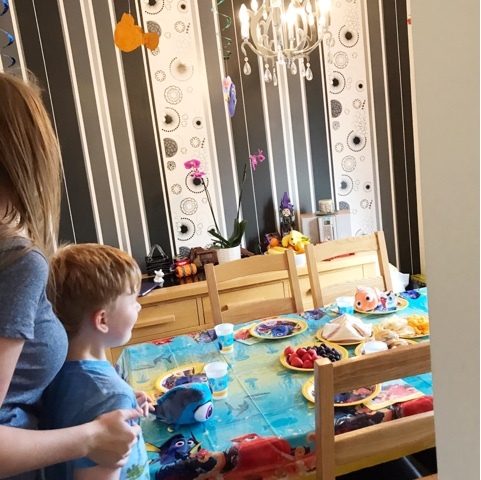 You'll need to think about the number of guests you'll want to invite to your kids party as this can of course affect everything from budget, food, size of venue to what particular games you're going to play. Definitely worth thinking about as soon as you start planning. I love love love a themed party! 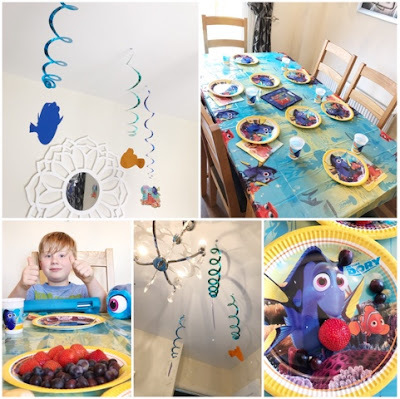 For my son's 4th Birthday we had a brilliant pirate theme with the cake, balloons, food, decor, bouncy castle etc all coming under the pirate look and feel. It was fantastic and my son really enjoyed it. There's just something so lovely and cool about a themed party where everything matches. The Disney Party store of course have all your themed needs met with tons of Disney characters and all the accessories you'll need to host an amazing party. You've got your number so now you just have to decide what sort of food to go for. I like to keep it easy with things like ham or cheese sandwiches, sausage rolls, cocktail sausages, crisp selection, strawberries and grapes or fruit skewers, selection of sweets, cupcakes etc. Or you could go fancy as I once had a super hero themed party for my son and did a fab Captain America Shield Platter, it went down a storm. 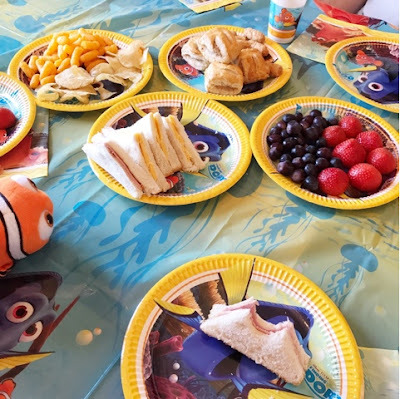 So the world is your oyster when it comes to food ideas and the Disney party planner has plenty. Sometimes you just need a little bit of inspiration for the games don't you. At what age do you have which games, how many should you have, how should I do pass the parcel! 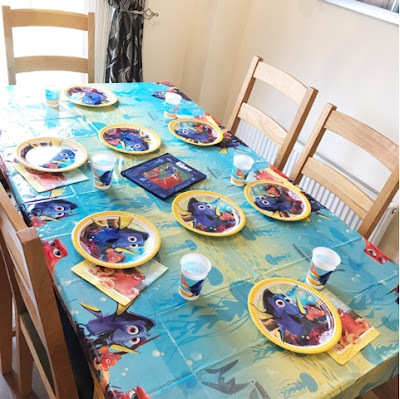 The choices are endless and you want to make your kids party amazing so why not check out the Disney Party Planning ideas section to figuring out what games you want at the party. Last but not least the all important party bags. I've actually seen kids keep their eyes peeled for party bags and no one likes to leave without getting their hands on them. 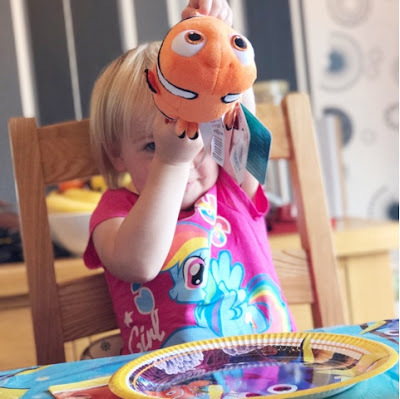 A good party bag usually has a few toys in them along with a slice of cake and some sweeties or chocolates. I like to keep it in theme normally if doing a themed party but last year wasn't a theme so I just had a random assortment of party bag fillers. So there you go, my 7 top tips for having a fabulous Disney party. I'd love to hear if you've had any Disney parties recently and please do check out the Disney Party Planner as it's honestly amazing. 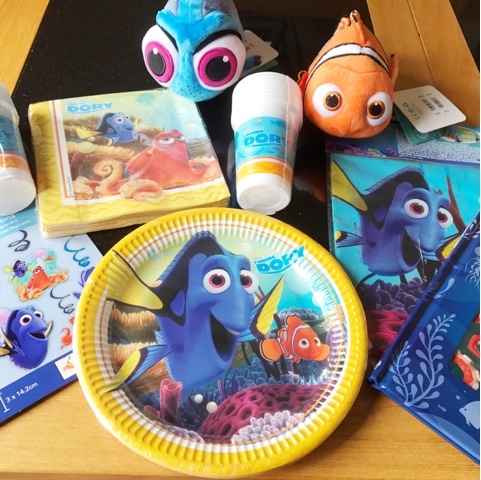 I was sent Disney party accessories from the Disney Store UK. All opinions are my own. 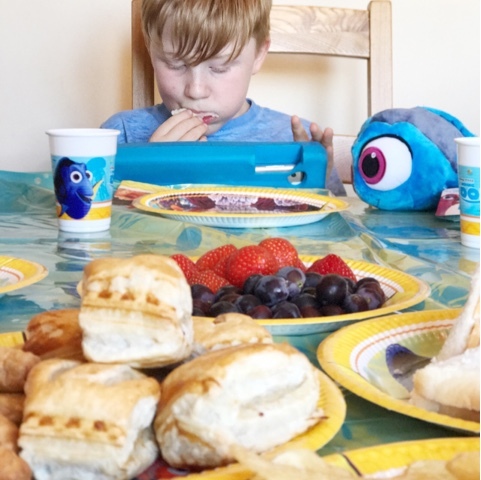 10 comments on "7 Top Tips for a Fabulous Disney Party"
Lots of great tips here. I've yet to throw this kind of party but I know my eldest will need one next year. 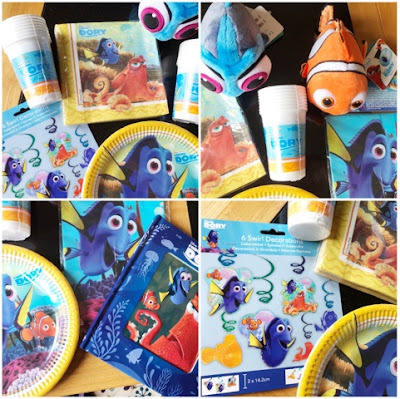 I love the finding Nemo themed party accessories. I love this, my soon to be 8 year old has asked for a party and i dont even know where to start, He is a big cars fan so I have to look into it! They looks funny! I hope they enjoyed it so much! Thanks Claire. Good luck with planning your kids party next year. Cars sounds like the perfect way to celebrate your soon to be 8 year old birthday Mummy Cat. The kids thought it was amazing Lyndsay, thank you. They loved it thanks Strollerlab.